As we share over and over ion our blog, there is more to weight loss, than just cutting calories. In fact, that is a small part of the “weight loss equation”. 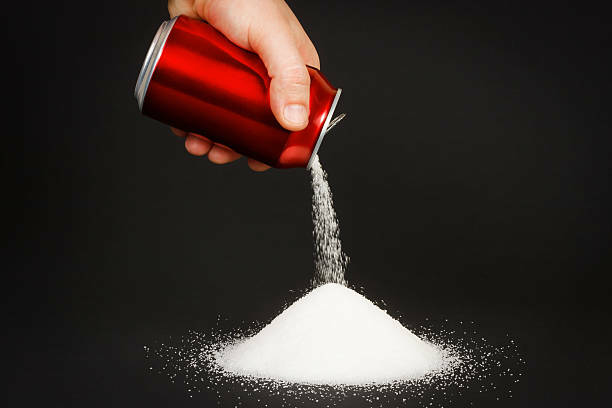 So, why for many do diet drinks and artificially sweetened foods not lead to weight loss? The answer lies in how these artificial sweeteners effect your hormones. Particularly, the hormone insulin. With sweeteners and sugar replacements, you don't want to use any that raise blood sugar AND we don't want them to raise insulin either. Most artificial sweeteners do not raise blood sugar. HOWEVER they DO raise insulin. This is HORRIBLE for losing weight (and for Type 2 Diabetics). Which is why we don't use "diet drinks" and artificial sweeteners on our program. When the hormone insulin gets above a certain threshold in the body, your body can not burn fat for fuel. This means weight loss halts. Or worse, when insulin levels become too high in your body, your body will start storing fat. Ugh! That’s the exact opposite of what most people who drink diet drinks and use artificial sweeteners want to have happen! Take it another step further: Have you ever heard of “Insulin Resistance”? Well, the more insulin resistant a person is, the more negatively the artificially sweetened products can affect them. Knowing this simple truth, can you believe these “diet” products are even allowed to market or imply that they can help you lose weight!? Let’s give you some clarity so you know what to look for in products. There are several brand names that use one, or a combination of the sweeteners listed above. NOTE: As we often encourage you to do, you will need to become a “reader of ingredients” in order to determine if the sweetener you use contains them. Now you know the real skinny on diet drinks and artificial sweeteners! Ready to keep learning? Need to start or keep losing weight? Desire to create a focused lifestyle change? We can help! Science. Strategic Eating. Supplementation. And Sensational Support. Click, call or just come in!